Developing High-Powered Retail and Wholesale Ecommerce Websites. As part of your social media strategy, consider periodically supplementing your original content by sharing quality content from other sources. Ideally, original content should form the foundation of your social media strategy, doing the work to generate interest in your products and services and draw people to your site. Shared content from other sources can round out your posts with fresh ideas and news, and help you expand your audience. Curate content that resonates specifically with your business and/or customer base. Make it personal. Some platforms, like Facebook, may give more exposure to new posts rather than posts shared with built-in sharing buttons, so it may be worthwhile to share content via a new post and include a brief observation or reaction of your own. Don’t link to competitors. This one seems obvious, but it’s always a good idea to investigate the sources of pieces before you share and make sure your offerings don’t overlap. Make sure you are using content you have the right to share. When in doubt, ask the source! Shared content isn’t a substitute for original content, particularly when it comes to building traffic to your website. On the other hand, it can be a useful tool for building your social media audience so your original content has a wider reach in the future. Marketing Bites are short actionable tips to help you market your business. Each Bite contains a marketing idea and an easy to complete action. The Marketing Bite is emailed weekly to subscribers. 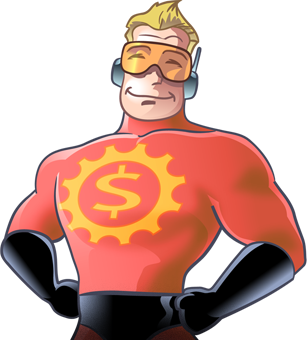 Take Your Website From Zero to Hero!